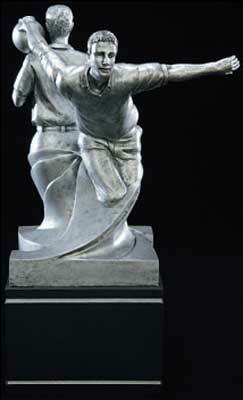 Are you looking for a unique bowling trophy for your bowling league awards? 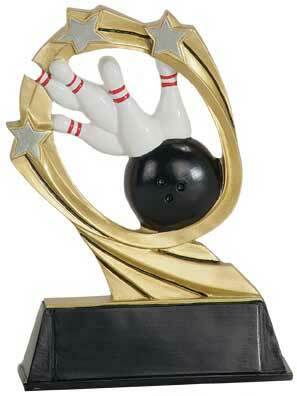 The resin bowling trophies are an economical bowling trophy. 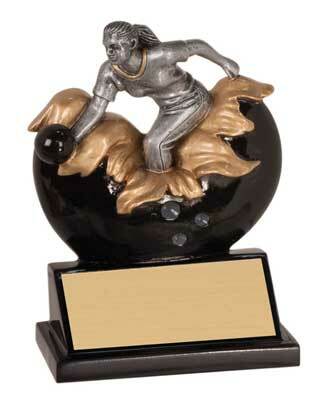 We offer a large selection of resin bowling trophies. 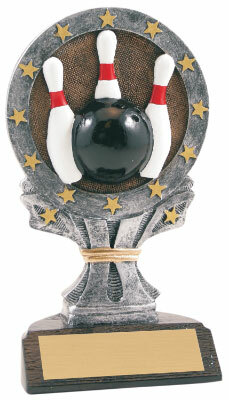 Be sure to scroll down the page to see all of our resin bowling trophies. 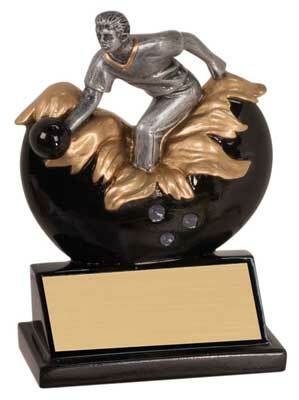 We have resin bowling trophies for men, women and bowling resins that are non gender. 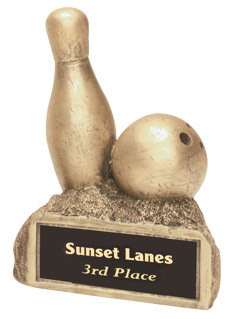 Some of the resin bowling trophies come in multiple size options. 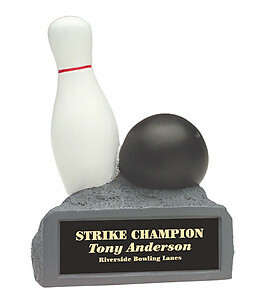 If you do pick a resin bowling trophy that has more than one size option, when you click the size you want, the price automatically changes in the YOUR PRICE section under the picture. 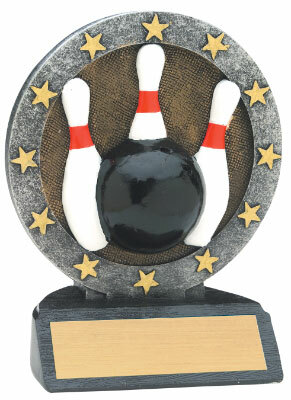 All of our resin bowling trophies come with 40 characters of FREE engraving. Anything over 40 characters is $.07 a character. 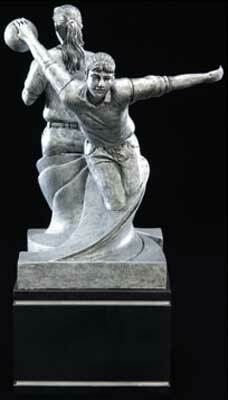 The price of your extra engraving will not be figured in your shopping cart. We will send you an e-mail with the extra charges. 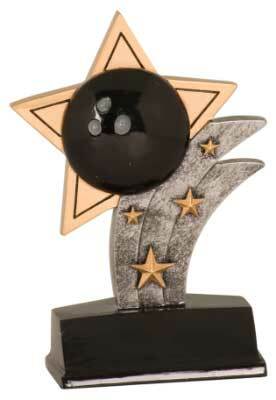 When you purchase 12 or more, at checkout you will receive an automatic discount at 12, 50, 100 and 250 bowling trophies. 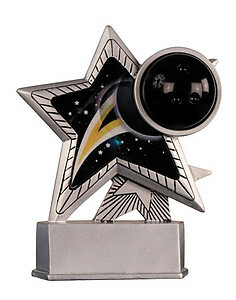 Most orders ship in 5 to 7 working days. Rush orders ship in 1-3 days if product is in stock. Rush orders are 15% extra. 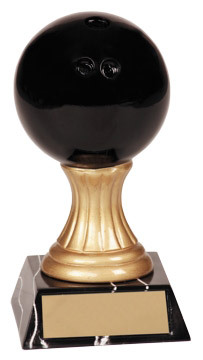 Next day, 2nd day and 3 day select shipping and Rush orders should be confirmed by phone 1-800-787-8777 or by email and a return email from H & R Trophies.